The Blackstar HT Stage 100 MK II Amplifier & FS-14 Footswitch Bundle offers an exceptional amp head with the footswitch that opens all its doors. 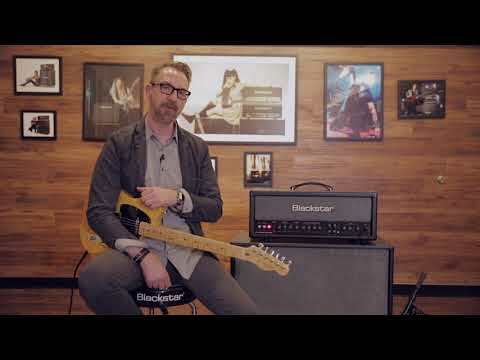 Following feedback received on their award-winning HT Venue series amps and cabs, the team at Blackstar sought to improve upon their already accomplished designs. Not only have they exceeded themselves, but they have done so whilst retaining the same user-friendly interface and uncompromising tonal consistency the HT Venue series of models are known for. If you're a road-hardened musician who is looking for a no-nonsense amp head that is easy to use, tonally versatile, and produces dreamy tones in the process, then look no further than the exceptional HT Stage 100 MK II.